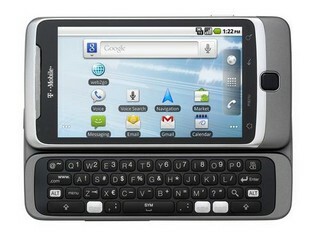 This might of been the hardest Android device to hack so far. The T-Mobile G2 root drama has been ugly since the device launched last month. T-Mobile, HTC and possibly Google tried to implement the first root fail-safe on a new Android device. Originally thought to be a bug, turned out to be a “feature” according to T-Mobile, a feature which was apparently inserted by HTC. It prevented any kind of permanent “root”. Once the user rebooted his/her G2, the stock firmware would automatically be reinstalled, preventing any real permanent root access. I’m sure some of us thought the G2 would be a lost cause, but those at XDA would never give up on such a task. Through some late night developing, the guys at the #g2root IRC channel and XDA have made the big breakthrough on the HTC G2. The process is long and extremely advanced, so you got to have some confidence in your skills. Basically it uses the steps from the original temporary root. With that, they have added some modifications and additional steps to finally bing a permanent root to the G2!